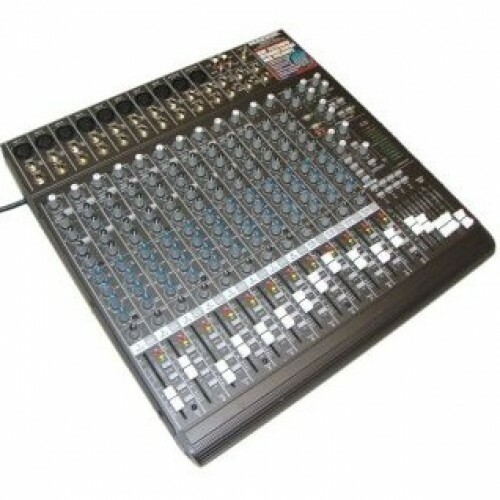 Features 8 mono and 4 stereo channels, plus separate CD and tape inputs and outputs. Features 100 presets, including reverb, chorus, flanger, delay, pitch shifter and various multi-effects. Instantly reveals critical frequencies for easy feedback removal. With switchable +48V phantom power for use with condenser microphones. On all mono channels for eliminating infrasonics. Clip LEDs indicate when the input signal is too hot. Allows frequency correction of monitor and main outputs. Removes the singer's voice from recordings so you can make virtually any song into a karaoke track. Allow for an easy connection.